Opals get their name from the Latin word opalus, which means "precious stone." This October birthstone is believed to bring good luck to those who wear it. 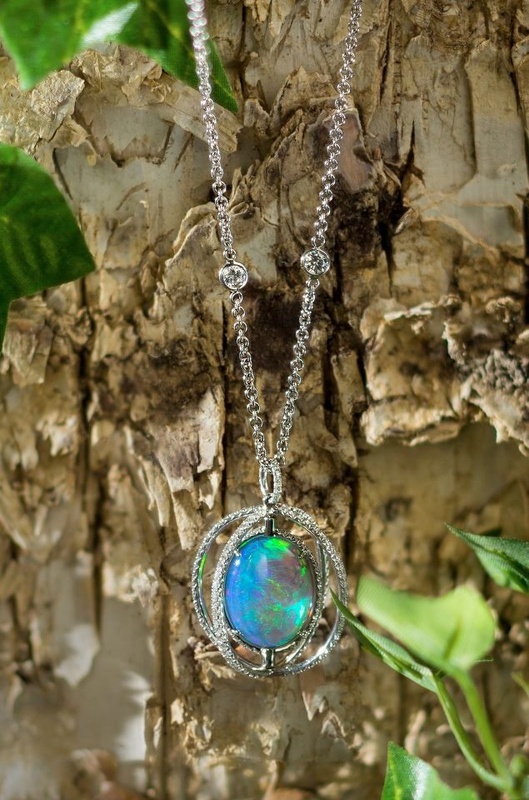 Years ago, Arabs believed that opals fell from the sky in flashes of lightning! It seems that nature’s endless miracles are all wrapped up in in all its glory when compressed into the silica formation called opal. Opals can be found in a myriad of all the colors of the rainbow. Their colors ever shifting as light reflects upon them. The majority of all opals come from Australia. It is there that the myths were born that old ones came to earth via a rainbow bringing a message of peace to all. The stone is known for its color play. Composed of particles closely packed in spherical arrangements, a three-dimensional array of spaces are created when packed together in a regular pattern. Healing properties associated with this gemstone include curing eye infections, maintaining heart health, preventing fainting and warding off nightmares. Do you celebrate an October birthday? What jewelry design would you like to see with the October opal birthstone?